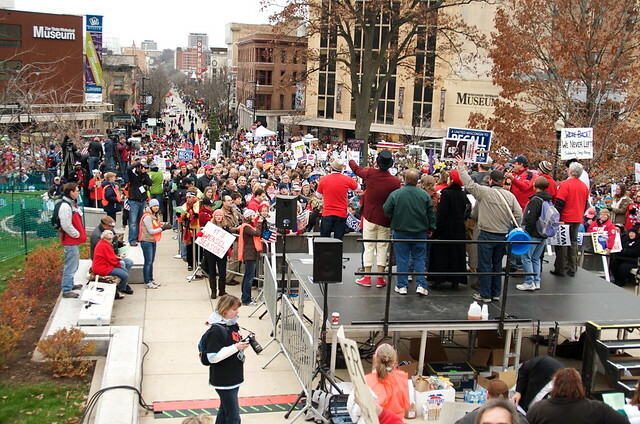 I spent a few hours today at the Capitol in Madison, WI, with tens of thousands of my closest allies working, marching, and generally having a good time in our effort to recall our unpopular governor. Official estimates from the Dept. of Administration (who generally estimates well below police figures) put the crowd at 30,000. 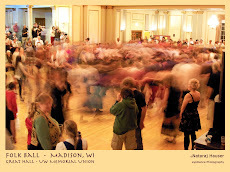 There was much frivolity and an overall mood of happiness. 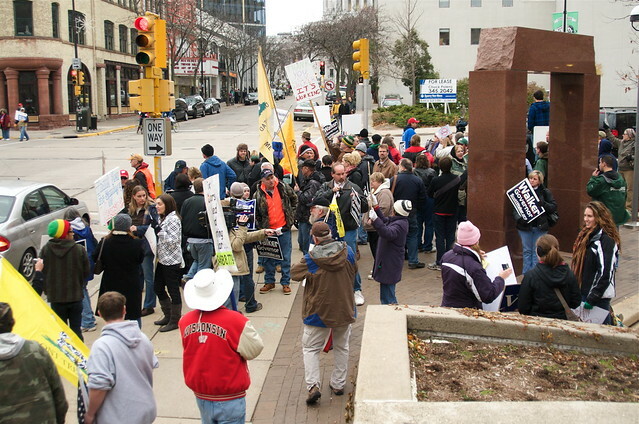 We were glad to be back in the street protesting our new ALEC-tool governor. 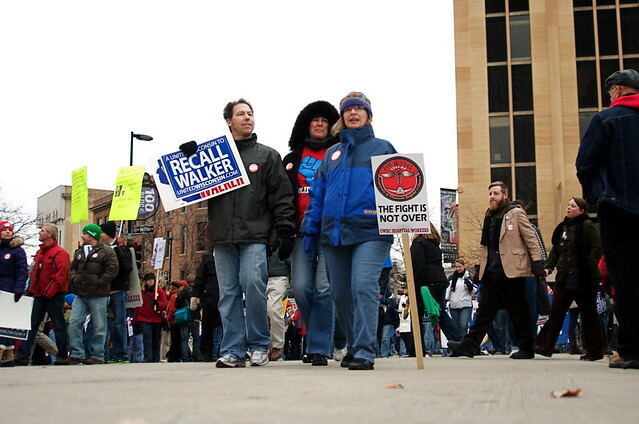 There were lots of smiles and the running joke seemed to be that "Wisconsinites only protest when it's cold outside." Temp was a balmy 45 degrees (F). Lots of friendships were forged this spring during the protests of the newly-elected Guv. Now that he's eligible for a recall drive, the state is on fire to collect 540,208 (minimum) signatures. In the first three days 105,000 were collected. I am certain another 10,000 got added today at the rally. Not everyone was there in support of a recall. This tiny group of about 75 people were supporters of Gov. Walker. One sign called him a "Great American". Mostly they seemed angry to me. And wrong, of course. I am thrilled. To paraphrase Pink, let's get this recall started!